The eye doctors at Ogden Vision Center believe in looking at the big picture when it comes to your eye health. We take the time to get to know you, your eye care history and your vision needs. Doctor Dygert and Doctor Pebley are therapeutic Optometrists who use state of the art technology to test your eyes, making sure you not only have clear eyesight but that you also have good visual efficiency and the ability to process visual information seamlessly. Getting the right prescription for your eyeglasses or contact lenses is an important part of good eye care. However, even if your vision is sharp, it is important to have regular eye exams with an optometrist. Whether you need a routine eye examination, an eyeglasses fitting, treatment for an eye disease (such as glaucoma, macular degeneration, or diabetic retinopathy) or even eye surgery such as LASIK or cataract surgery, our eye doctor will provide you with expert care, advice, options and follow up. Keratoconus is an eye condition in which the eye takes on an irregular cone shape, that can seriously affect vision. We specialize in treating this difficult condition. Corneal Refractive Therapy is an exciting, non-surgical method of fixing your eyesight without LASIK, glasses or traditional contact lenses. We are experts in fitting these specialty lenses. Dry Eye is a chronic lack of sufficient lubrication and moisture on the surface of the eye. It can range from minor irritation to the inability to wear contact lenses, and eye infections. 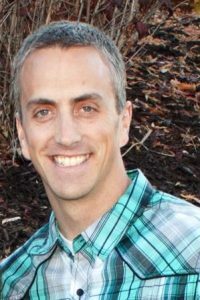 A Davis County native, Dr. Dygert attended Weber State University for his undergraduate work before moving to Oregon to attend Pacific University, where he received his B.S. degree in Visual Science. He then went on to receive his doctorate of Optometry degree. We accept VSP, EyeMed, PEHP, Medicare and most major medical and vision insurance plans. If you do not see your insurance plan listed, please ask at our office. Our sunglasses and glasses ranges are extensive and full of world famous designer brand names including, Ray-ban, Oakley, Nike, Lucky, Kate Spade, Banana Republic and more. Browse our Designer Frames page for more brands we carry. Ogden Vision Center offers emergency services. 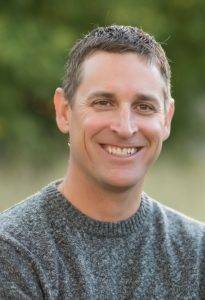 Dr. Dygert & Dr. Pebley offer emergency services that require immediate and urgent eye care. If your eye is injured, don’t try to judge the severity of it. Immediately seek the opinion of an eye doctor to lessen the risk of hurting your vision. We understand ocular emergencies can arise at any time. Please call our office: 801-396-9466 for further instructions. Use your best judgment on urgency, if you feel your need to find the nearest emergency room. 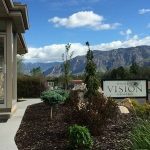 By staying current with the latest developments in eye care, prescription lenses and advances in contact lens technology Ogden Vision Center can provide you with the best vision, advice and fit today—and in the years to come. We take pride in building lasting relationships with our patients, which is why we take the time to get to know you, your vision requirements and your lifestyle needs. Contact our eye care clinic today to find out how we can help.